Walter Chancellor’s first reaction to IPR co-founder Jackie Robinson’s invitation to teach was hesitant. But after he had a chance to tour the facilities and look closer at plans for the school, he was impressed and IPR had its first teacher. 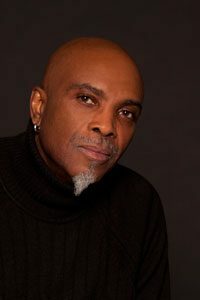 Chancellor’s position as a mainstay in the jazz and R & B community in the Twin Cities, as well as his extensive experience in Audio and MIDI production and composition made him a perfect fit. This summer, Chancellor celebrated his fifteenth anniversary as an Audio Production and Engineering instructor at IPR. Chancellor’s teaching approach includes awakening his students to real life aspects of working in the music industry. He says he wants to mentor them by revealing all aspects of the work, including “putting Cheerios on the shelf.” He tells them, “Don’t count on a single thing,” encouraging the concept of diversified entrepreneurship. And of course, he is a excellent example of this, continuing to perform and record with national and local artists, running his own production company – Chancellor Music – providing music production, song writing, and session work for artists, film, advertising, and corporate groups, as well as teaching. Chancellor’s dedication to mentoring young musicians and music professionals can be seen in his loyalty to all of his students at IPR, as well as his initiatives in the Twin Cities communities. He was a founder of the Twin Cities Mobile Jazz Project, and helped launch Ideawerks, an after school and summer program in Minneapolis Parks. He also works with under privileged kids on their music projects through the Central YMCA.